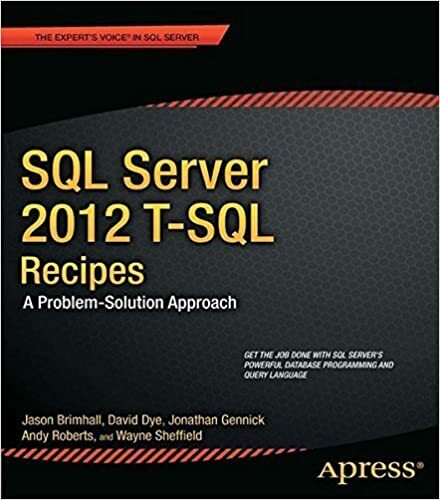 Years ago the TSQL Tuesday party was started by Adam Machanic (b|t). The premise of the monthly event is to get people a topic each month to try and ease some of the difficulty with writing (figuring out what to write) and to get more involved in the community. The party started in December 2009 and is now embarking on the 10th year. The party is running strong and will likely continue for many years to come. I have personally participated in quite a large number of these events. I am far from a perfect participation record like Rob Farley (b | t) but I do participate when I can. 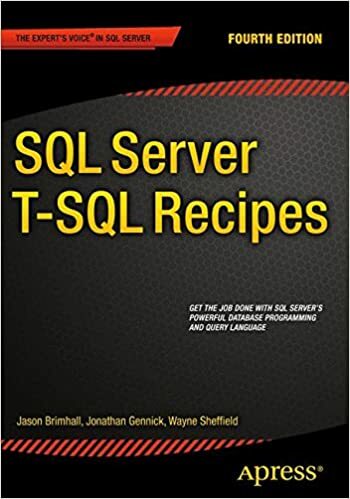 Every now and again I think about what I might have participated in or what I have written in the past for a TSQL Tuesday. This post will serve as a table of contents for all of those articles. This is to help make it easier to find for me (as well as give me a chance to review and fix problems from really old posts). This post will provide a quick synopsis of my article (if one exists) along with topic and links to original invite and roundups for the monthly party. This was the first time I participated in TSQL Tuesday. I was very new to the blogging concept – and it shows. The puzzling problem I encountered in the article was a fun little job that kept giving different results than running the same code from SSMS. Check it out! I covered all sorts of different relationships that affect SQL Server from work, to marital, to table relationships in a database. It all ties together in requiring an individual to constantly tune the different types of relationships. What if we could create a numbers table without IO? What if we could perform several different kinds of queries without IO? Itzik Ben Gan proposed a cascading CTE solution that does this sort of thing. This article shows that method in use to help improve certain IO conditions. Having been introduced to a requirement to report on IP addresses of connections, I dive into a solution that will help show hostname, ip address and a few more tidbits. When it is necessary to provide reports on activity occurring on the server, it pays to do a little prep work. Be Prepared. It is not an easy task to be able to go back in time and report on data that isn’t captured. The little prep work that one may need to do is well worth the effort in the end. Learning how to decrypt the individual object sizes broken down into type and filegroup. Then report on the data that was retrieved from the DMOs. In the DMVs for SQL 2005 and SQL 2008 there is more than one place you can find the information about the size of your LOB data? And it goes without saying that there is more than one way to find information about LOBs in your database. I see database compression, as offered with SQL 2008, to be more like these file compression utilities than DriveSpace. Data compression in SQL 2008 is not an all or none implementation. You get to pick and choose what gets compressed. That is a big time bonus for me. I am learning that learning is not just formalized education in a classroom or in specific settings. There are things to be learned from all aspects of life. This can be learned if only a little observation is used. I hosted this particular event. I find it completely useless to go on vacation if I am going to be checking email or project statuses every 10 minutes. There is no rest or relaxation in doing those things while I am supposed to be doing something else. Vacation should be fun and enjoyable. Thus, if I am to enjoy vacation, I need to do a few extra things in the office prior to leaving. How does one find what columns were LOB columns in the database. I knew I had some past blog posts about various aspects of LOBs, but I had never broken it down to find the columns in the LOB. Even better was that I wanted to know what columns were in what index that were also a BLOB. I chose the myth that truncate is unrecoverable. Check it out and see how a truncate is most certainly capable of a rollback or being recoverable. I think a common area that is easily overlooked when it comes to requirements and interpretation of requirements is report creation. A common problem is that there are no defined or written requirements for the creation of a report. This month was all about resolutions and goals. My list of goals were pretty good and entirely profession based. I shared a script that will load a sample of data from every table in every database for every column and give you the length of the pertinent columns (I have excluded obvious columns such as numeric types and certain LOB types). Super geeky article on stats, quartiles and the like. For my data analysis and trending, I wanted to find a simple distribution across quartiles. Invitation and roundup – unavailable on origin site. In this article I take an unexpected twist in my application of the APPLY operator. In that twist, I show a quick and simple script to grab role members. I shared a rather complex series of CTEs that are used in the same way a hierarchy and ancestry tree would be generated – except for Foreign Key relationships. That script was a load of fun. Who needs a single disaster when you can enjoy multiple disasters in a single sitting? I share three different types of disasters. I am sure many have had experiences with all three and probably many more types of disasters. I missed the announcement or something like that. I don’t hide much as I share my feelings about crap code and then show my own crap code followed by a little bit of explanation on an improved version of the same code. I chose to touch on several aspects of data presentation – Performance, Accuracy, Display, and Business Requirements. D’oh – missed another one in 2011. Big takeaway from this month was the value of a very good string splitter. In the spirit of the Holidays, I wanted to share some tricks and tips. They can be my gifts to you during the holidays. And maybe they can help you give to somebody else. Invitation and roundup. (Original site toasted). Having missing TSQLTuesday 23 and the topic being about Second Chances, I chose to write about JOINs and sort of fulfilling the requirements for both TSQL Tuesdays in one shot. After that second chance I blew it the very next month. Luckily I have a good reason – Valentines Day! My Article: T-SQL Tuesday #028 – Jack of All Trades, Master of None? This one brings up bad memories of when as the DBA it was also required to be the janitor. Your post must be published between 00:00 GMT Tuesday and 00:00 GMT Wednesday.